How long does the validation process take? 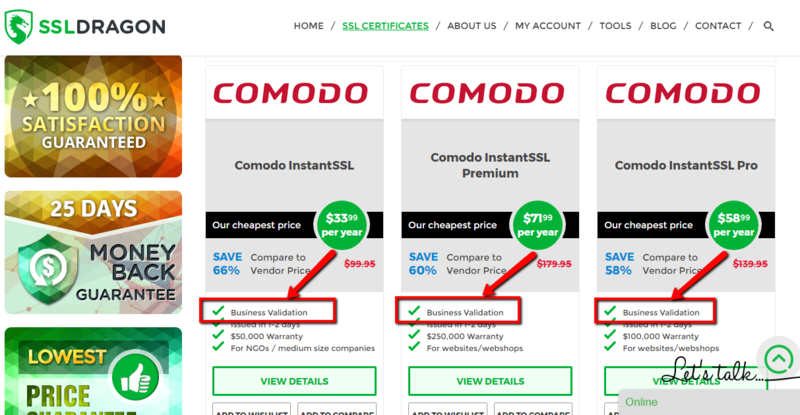 The validation time of an SSL depends on the type of certificate you chose to buy. Domain Validated certificates are issued within 3-5 minutes in 99% of the cases. Only when an SSL Certificate is requested for a domain name that contains a trademark or a brand name, then those SSL Certificates may pass brand validation, and can take up to a business day to be issued. Business Validated certificates are usually issued within 1-3 business days. Extended Validated certificates can take between 1-7 business days to be issued. The Certificate Authority does its part of the work very quickly. If all the information is provided to the Certificate Authority quickly and correctly, then the Certificate Authority can issue the EV certificate within 1 business day. We’ve seen situations when the EV Certificate was issued within a few hours. The 1-7 days period depends on how quickly the customer provides the required information to the Certificate Authority, and how quickly the customer responds to the Certificate Authority’s potential requests for additional information. By doing the Validation process, the Certificate Authority’s is trying to confirm that you are the owner of the domain, and that the company that you are requesting a Business Validation or Extended Validation certificate for is active. That is why it is important that you keep your company’s records (address and phone number) up to date and you promptly respond to the Certificate Authority’s requests. How to check what type of validation my SSL Certificate requires? 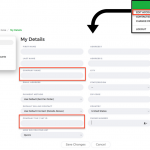 You can check whether your SSL Certificate requires Domain Validation, Business Validation or Extended Validation by looking at the attributes of your SSL Certificate. 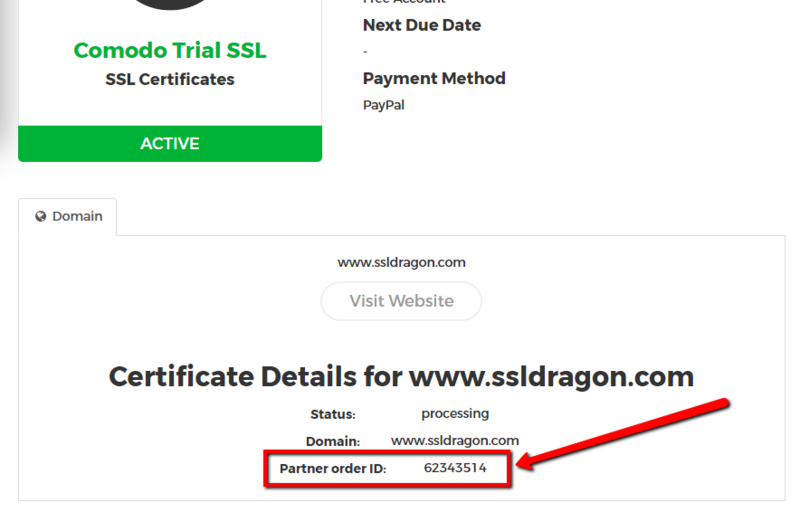 Please open the two screenshots on the right in order to see where you can find the information about the validation type of your SSL Certificate. Do I have to pass the Business Validation every year? 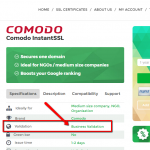 You have to pass the Business Validation when you buy a new BV SSL Certificate. 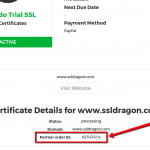 If you buy your BV SSL Certificate for 1 year, then your certificate will be valid for 1 year, and you will have to pass the Business Validation again in 1 years when you request a new BV SSL Certificate. If you buy your BV SSL Certificate for 2 years, then your certificate will be valid for 2 years, and you will have to pass the Business Validation again in 2 years when you request a new BV SSL Certificate. At the same time, the process of completing the Business Validation is easier the following years, so as the Certificate Authority has more information about your company in their system, based on your previous BV SSL Certificates requests. I added my phone number to my DUNS listing. Why didn’t I pass the validation yet? Some Certificate Authorities (especially Comodo/Sectigo and Symantec) may ask you to update or add your phone number to your company’s DUNS listing, as a part of your Business or Extended Validation process. After you have contacted Dun & Bradstreet and added your phone number to your company’s DUNS listing, it may take between 5 and 40 days for Dun & Bradstreet to make your DUNS listing update available to the public. When you talk to Dun & Bradstreet over the phone, they may tell you that they added or updated your phone number. However, they only initiated process. Your phone number will appear on the Dun & Bradstreet website (https://www.dandb.com/) in about 5 to 40 days after that. You will know that your DUNS listing has been truly updated, only when you get an email message from Dun & Bradstreet saying that your DUNS profile has been updated successfully. Your phone number will start appearing on your DUNS listing only after you get this email from them. Also, Certificates Authorities (such as Comodo/Sectigo and Symantec) can verify your phone number based on your DUNS listing only when your phone number is publicly available. That’s why, you or we should contact the Certificate Authority requesting them to check your DUNS listing only after you get that confirmation by email. In the past, we asked the Validation Department representatives from Comodo/Sectigo and Symantec to contact Dun & Bradstreet directly, and check our customer’s phone number with Dun & Bradstreet. We did that after our customers told us that they added or updated their phone number on their DUNS listing. Each time, Comodo/Sectigo and Symantec were told by the Dun & Bradstreet representatives that our customers’ DUNS listing update is “in progress” and “has not been completed yet”, and were advised to get back to Dun & Bradstreet when the customers receive an email message from Dun & Bradstreet which confirms them that their DUNS listing was updated. If 5-40 days is too much to wait, we recommend you to go with other methods of validating your company and phone number, such as providing a legal letter written by a notary, an attorney, or a certified public accountant. This method will allow you to pass the Business or Extended Validation within 1-2 days. What are the benefits of each validation type (DV vs. BV vs. EV SSL Certificates)? 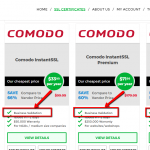 Basic – Domain Validation SSL Certificates – created for customers who aren’t interested in showing their company name and address in the SSL Certificate – either because they don’t need/want to or simply because they just don’t have a company. They only need to get the SSL Certificate very quickly in order to secure their domain name with HTTPS and have all web and mobile browsers display their website as “Secure”. Medium – Business Validation SSL Certificates – designed for clients who want to display their company’s name in their SSL Certificate’s details in order to ensure their customers that their business is real and trustworthy. BV SSL Certificates also allows you to display on your website a site seal provided by the third party Certificate Authority which proves that your SSL Certificate was issued to your company’s name and address. Top – Extended Validation SSL Certificates – developed for clients for whom users’ trust is highly important and they want to have a green address/URL bar that displays the company’s name on all web and mobile browsers (along with making this information visible in the SSL Certificate’s details). EV SSL Certificates also provide the site seal which proves that your SSL Certificate was issued to your website, company’s name and address but these certificates have the topmost trust level because they show your customers, prospectors, and visitors that your website is highly secure and that their information is always protected. Now that you know the main differences between Domain Validation (DV), Business Validation (BV), and Extended Validation (EV) SSL Certificates, it should be much easier for you choose the one that fits you the best.